Home » Health , Nature » How to Eat Coconut Oil, and How Much Per Day? It’s been shown to increase metabolism, reduce hunger and boost HDL (the “good”) cholesterol, to name a few. This article explains how to include coconut oil in your diet and the optimal amount to take. 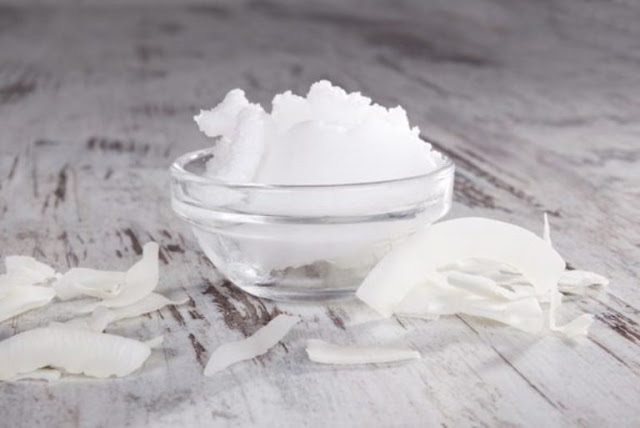 A number of studies have investigated the benefits of coconut oil, many of which are attributed to its high content of medium-chain triglycerides (MCTs). In three similar studies, a combination of coconut oil and butter were the main fat sources in a 40% fat diet. Normal-weight women experienced significant temporary increases in metabolic rate and calorie expenditure. In a study comparing the effects of different fats on cholesterol levels, a diet with 20% of total calories from coconut oil raised HDL cholesterol in women but not in men. In addition, it was shown to raise LDL cholesterol less than butter. In one study, overweight or obese people taking 2 tablespoons (30 ml) of coconut oil per day for 4 weeks lost an average of 1.1 inches (2.87 cm) from their waists. What’s more, the participants lost this weight without deliberately restricting calories or increasing physical activity. In another study, obese women took 2 tablespoons (30 ml) of coconut or soybean oil while on a calorie-restricted diet. Their waist sizes decreased and HDL cholesterol increased, while the control group had the opposite response. Bottom Line: In studies, coconut oil has benefits when given at fixed dosages or as a percentage of total calorie intake. This has been shown to benefit weight, reduce belly fat and improve other health markers . Some studies used up to 2.5 tablespoons (39 grams) per day, depending on calorie intake. Two tablespoons provide about 18 grams of medium-chain triglycerides, which is within the range of 15–30 grams that has been shown to increase metabolic rate . h benefits, but it’s best to work up to this amount gradually. Sautéing or stir-frying: Use 1–2 tablespoons of this oil to cook vegetables, eggs, meat or fish. Popcorn: Drizzle melted coconut oil on air-popped popcorn or try it in this stove-top popcorn recipe. Baking: Use it to coat poultry or meat before rubbing with seasonings. Coconut oil can be substituted for oil or butter in a 1:1 ratio in most recipes. Be sure to let cold ingredients like eggs or milk come to room temperature before blending it in, so it mixes in smoothly instead of clumping. It’s best to melt it and add to smoothies and protein shakes gradually. Strawberry and Coconut Oil Smoothie. 1 tablespoon unsweetened cocoa powder. 1 tablespoon cream or half and half. Bottom Line: Coconut oil can be used for cooking, in recipes and to add delicious richness to hot beverages. Bottom Line: Coconut oil capsules need to be consumed in very large quantities in order to achieve an effective dosage. Bottom Line: For best results, replace less healthy fats with coconut oil rather than increasing your current fat intake. Coconut oil is a natural source of medium-chain triglycerides, which offer several health benefits. Including 2 tablespoons of coconut oil per day, in cooking or in recipes, is the best way to get these benefits.